Hello everyone today I would like to help remove some of the confusion surrounding Singer Vibrating Shuttle sewing machines. I am of course referring to the VS #1, #2 and #3 and their relationships with the Model #27 and #28, eventually concluding with the #127 and #128. These machines were available as hand-crank machines, treadle machines and even motorized with add-on motor and light kits straight from the factory. We have several of the model 27 and 127 machines in our herd of machines. All of which started their lives as a treadle machine. Most of them have come to live with us after some previous owner separated them from their treadle bases. My first 27 came to us with an aftermarket motorization kit installed on it. It was frozen solid from lack of use and years of storage. It was given to me by a co-worker who said he got it 30 years earlier and it was stuck when he got it. Since he and I work in an environment surrounded by electric motors, pumps, and bearings we are both quite comfortable with mechanical motion. When he brought it to me and said if you can make it work you can have it if you will use it I was eager to accept his challenge. By the end of the day, I had a new machine and he got to see it moving and making stitches. About 6 weeks later I found a set of irons for it at a city-wide yard sale and after convincing the seller that I was actually interested in restoring them to be used and not use them for some steampunk art exhibit, I found myself loading them into the van for $25. They were rusted and almost impossible to move. The table was in fair shape but the drawers were long gone. I completely disassembled it in the driveway and after wire brushing every single part of it by hand I found myself the owner of the smoothest set of SINGER irons I have ever had the pleasure of using. And of course, I planted the head on it and sent the previous owner of the irons a video of it being used while it was still setting in the driveway. It has long since moved into the house and it has been a trusted friend to be relied upon whenever there are tough circumstances most other machines cannot handle. 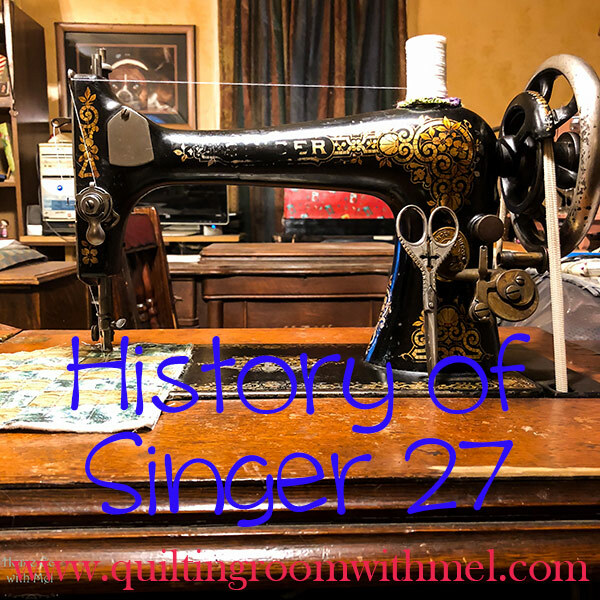 While researching the new to me Singer 27 I entered the history wormhole and before I knew it I had several pages of notes and scribbles of dates and places detailing the birth of the machine. Our machine was commissioned in 1895. There are some inconsistencies to be found as records were lost over time and different resources had records that didn’t match. I did the best I could to piece together an accurate timeline but I also feel there is probably room for correction. In 1885 Singer introduced the VS-1, Vibrating Shuttle # 1. The VS-1 was designed as an economical replacement for the aging TS machine for residential use. The TS or Transverse Shuttle created a lockstitch by sliding a shuttle called a boat through a loop created by the needle. The transverse shuttle slid right to left on the machine. Right to the left would mean from the pillar to the head and back towards the pillar, whereas the VS would form a lockstitch the same way except for the shuttle rides in a carrier at the end of an arm that swings in an arch from the rear to the front of the machine and back. This, however, was not the first singer attempt to move away from the TS machines. In 1879 they introduced a round bobbin oscillating hook machine called the 15-1, became the Improved Family and lead to the model 15 series oscillating hook machines we are familiar with today. It is my suspicion that the complex machining and cost of labor and time investment needed to produce these machines was more than the average consumer could afford. The simplicity of the VS machine made it easier to service and cheaper to build. And after all, the end consumer wanted a reliable, cost-effective, easy to maintain the machine. So simpler was better and the VS #1 came to life. After a short production period, it was revised and the VS #2 was introduced in 1886. Shortly after the VS #2, the VS #3 hit the market. The VS #2 is a full-size model that worked very well as a treadle machine but weighing in at 27.7 pounds for the head only greatly hampered the sale of it as a hand-crank portable machine. The VS #3 was a ¾ size machine that was an exact scaled down version of the VS #2 and its lighter weight made it a perfect fit for the portable market. Out of curiosity, I tried in vain to find the true weight of a VS #3. Upon failing to do so I decided I would weigh my 1891 Model # 28 in its mahogany coffin case. Fully dressed and ready to carry it weighs 29.5 pounds. I can’t weigh just the head without removing the tiny screws holding the welded cabinet type hinges from the wooden case. In 1891 the VS #2 and #3 were revised again and re-introduced as the Model # 27 (full size) and the Model # 28 (3/4 size). They would remain on the market as such until 1910 at which time they would undergo their final revision and would be re-introduced as the Model # 127 (full size) and the Model # 128 (3/4 size).It appears as though in 1917 both machines could be ordered with add-on motor and light kits. 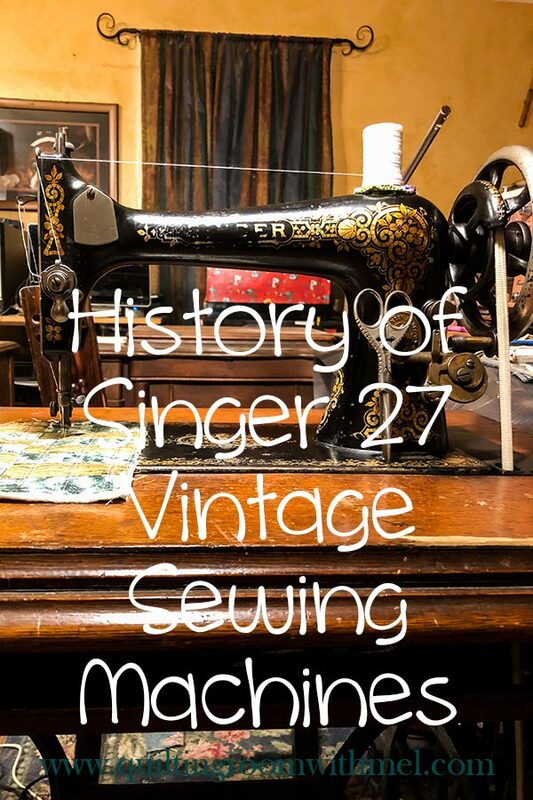 Singer continued to produce these machines until 1960 which makes them some of the longest-running production models for the home consumer ever. Until next time enjoy your machines your way, keep sharp needles in your machine and sharp words from the ears of others. I have a Godzilla finish 128 that has a serial number putting it’s production somewhere near 1960. Motorized with a prett cool light on it. It works well enough, but requires a very solid table as it will heave while swinging that shuttle. I have wondered why in the world would someone purchase that model in 1960 when there were wonderful oscillating bobbins and zig zags with special stitches all over the market. Price? Stubbornness? Many believe that the VS, vibrating shuttle, machines produce a superior stitch to an oscillating bobbin. It's why many are still in use today even. Thanks for helping sort of clear up the confusion. I have an 1890 Singer that I thought was a 28, but now looks like maybe it's a vs3. I also have what I thought was a 27, but have been told it's a vs2. It's easier to use 27 or 28 because most folks that research Singers have heard of those numbers, but not the vs2 or vs3. The one that I think is a vs3 has hinges instead of hinge pins, so I suspect it was hand cranked originally. I just bought a 1892 hand crank, so will interesting to see what model it turns out to be. I don't have any experience with the transverse shuttle machines, but I do love these early Singer VSes.